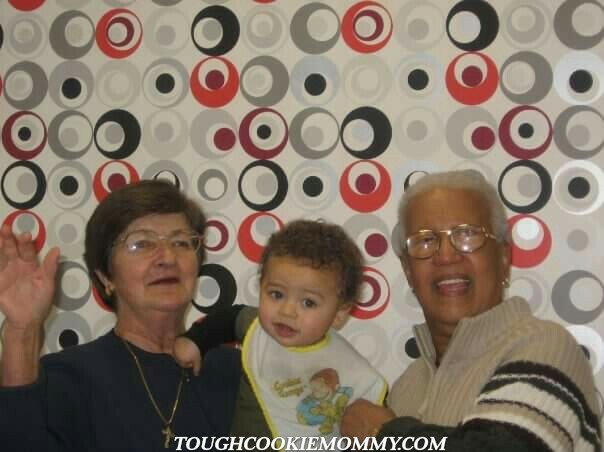 My younger son with both his great-grandmothers on his first birthday. This weekend is a very important one because, although we like to think that we honor the important women in our life all year long, we don’t always stop to give them the recognition they deserve. On Mother’s Day, we take some time away from all of the usual distractions and responsibilities that are part of our daily lives to focus on the women who hold the title of “Mother” in our hearts. It’s the perfect opportunity to let them know how much their love and support has meant to you and to demonstrate how blessed you are to have them. 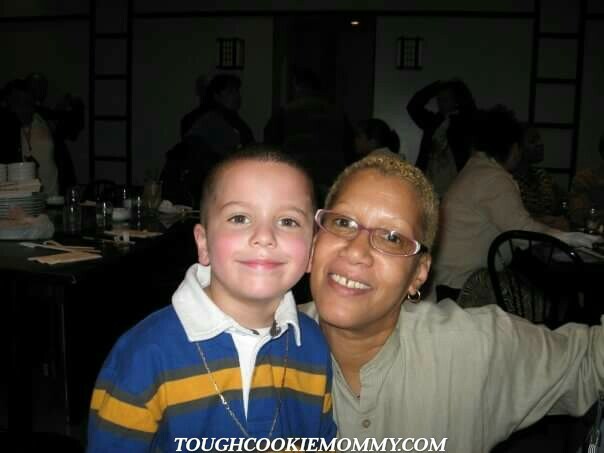 My younger son with his paternal grandmother. Let’s face it, it really does take a village to raise a child and mothers, grandmothers, sisters and aunts all play an integral role when it comes to instilling important values not only in you but even in your own children once you become a parent. My sons are very lucky because they have both of their great-grandmothers and grandmothers in their lives as well as a multitude of aunts who nurture them and have “mothered” them over the years. I’ve been very fortunate that my boys have been surrounded by so much love from even before they were born. 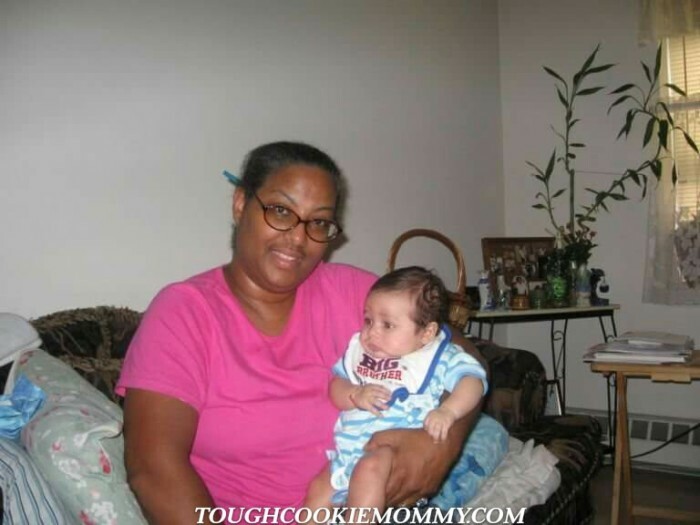 My older son with his great-aunt. One of our family traditions over the years has been to head to our local Hallmark store and pick out cards for all of the “mothers” in their lives. A lot of love goes into choosing just the right greeting cards that convey to all of these women how much they are loved and just how much they are appreciated. As a result, they all look forward to receiving these tokens from my sons every Mother’s Day. There is something about reading their heartfelt messages inside the cards they painstakingly picked out that melts the heart of every single woman in our family. My younger son with my sister. He loves his Titi! This Mother’s Day, honor the important women who also love your children unconditionally by visiting a store to purchase Hallmark cards that will tell them just how much they mean to you and to your children. By “Putting your heart to paper” in this way, you will truly make this day memorable in every way for all these women who have selflessly given of themselves to you and yours for so many years! Stay Social! Make sure you connect with Hallmark on Facebook, Instagram, Pinterest and Twitter this Mother’s Day! Let’s Discuss: Who are some of the important women in your life that you will be honoring this Mother’s Day? I will be honoring both my Mother and my MIL. Both have passed, but both remain a huge part of your lives through all the love and support they shared throughout their lives. Hallmark always has the best selection. My dad will spend an hour picking out the right card. Love Hallmark! Honoring moms everywhere around the world, Happy Mother’s day! Hallmark has such awesome cards. I love this idea. There is only my Mom left and she is 92–I am so blessed to still have her around and with all her faculties intact! I have never been good at remembering cards–everyone knows that about me and it is kind of understood somewhat! I will be with her tomorrow and eating at her favorite restaurant. Hallmark always has great cards and gifts. I will be honoring my mom and stepmom. I agree! They know just want to say for us! Awesome Christmas ornaments too! My mom may have passed many years ago but we still honour her. She’s still very much here I believe. I also like to Spoil my mom’s best friend of 35+yrs on Mothers day. She’s been a real treasure to me! Such a sweet post! It really does take a village. I was lucky to have aunts and grandmothers involved in my upbringing. I wouldn’t be the same without them. 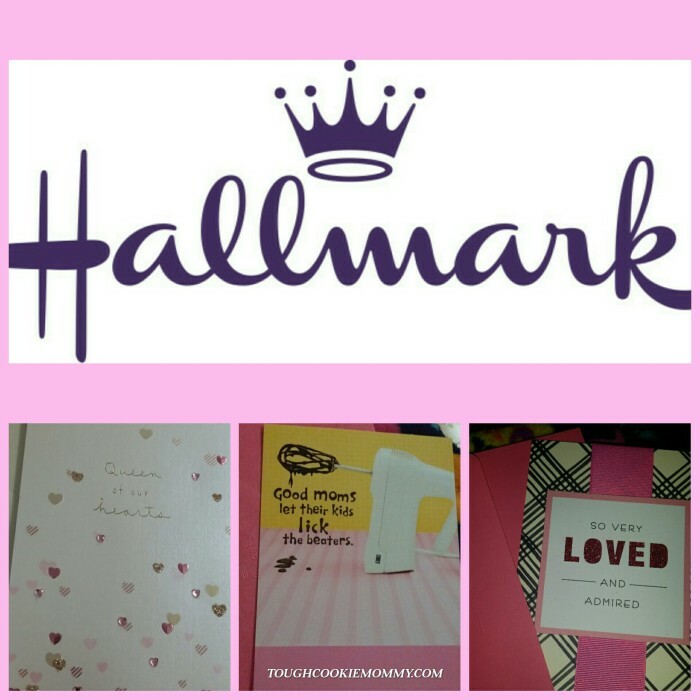 Hallmark definitely knows just how to say it on paper! I could have not said the words better myself! Hallmark always does the best tributes. I was lucky to have my grandmother and mom to raise me up. Hallmark is a card tradition in our house too. I used to have a huge network of folks to help with the kids, but we moved out of state and my husband’s family loves the kids, but they’re not involved with them at all. We’ve been here 7 years and the kids have never been ‘babysat’ by their grandparents. Such a foreign concept to me, but everyone is different! Happy Mother’s Day to moms everywhere! Wishing you many more Hallmark moments. Hallmark always has the best stuff there – Happy Mothers Day! I love to give people the perfect card to the ones that I love. I got the right one this year too. I love Hallmark cards and I usually find just the perfect one for just the right occasion. This Mothers Day I was treated by my kids and a Hallmark card was one I received. It’s a great blessing to have our grandparents around to enjoy the love of their grandkids. I hope that more people would cherish the elderly and keep the family ties strong. I love my Mom with all my heart, she has been through so much lately but remains so strong! My mom for sure. I got to visit her for a few days before Mother’s Day and can’t wait to see her again.